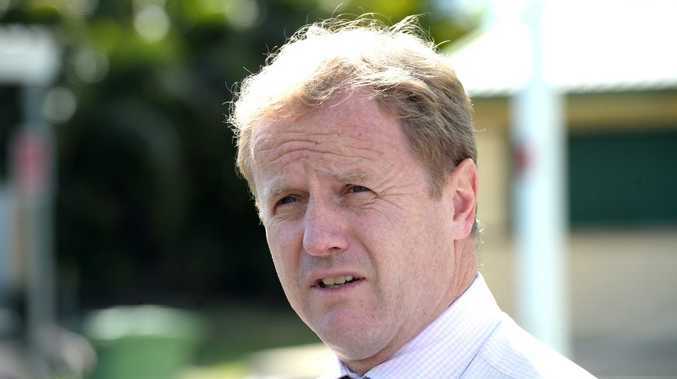 NATIONAL Rugby League boss David Smith will step down from his post at the end of November . The chief executive of the Australian Rugby League (ARL) walked into one of the toughest sporting jobs in the country in November 2012 replacing David Gallop. The former banking heavyweight however has decided it is time to move on after overseeing the game's most recent TV and stadiums deals, ushering in major player protection rule changes and a number of other changes including a new drugs policy and a crackdown on domestic violence offenders. He will make his decision public today after telling his staff of his decision. "The game is in the best shape it's ever been and after a really exciting grand final series, an amazing free-to-air (television) deal and with $1.6 billion of stadium investments. Our clubs are as strong as they've ever been," Smith told Channel 9. "I'm proud of what I've done. It's been a big three years. This is entirely my decision, there's no pushing but it's the right time to hand over the baton with the game in great shape." The NRL will begin a search for his replacement immediately with prominent rugby league names like Shane Richardson and Todd Greenberg. Former AFL boss Andrew Demetriou has been linked to the job previously but his lack of knowledge about rugby league has been seen as an obstacle although he is dynamic enough to do the job. Smith spent three years in the chair and while his business acumen as Chief Executive Officer and Managing Director of Lloyds International could not be questioned he had to constantly battled critics who claimed he was not a rugby league man. Smith came under fire for not milking enough money for the game from the last TV deal negotiated with Channel 9 when he failed to allow rival free-to-air channels 7 and 10 to push up the price. "We (rugby league) are in great shape," he said. "We did the TV rights deal, we did the stadium deal, our clubs are stronger, the game has never been healthier.